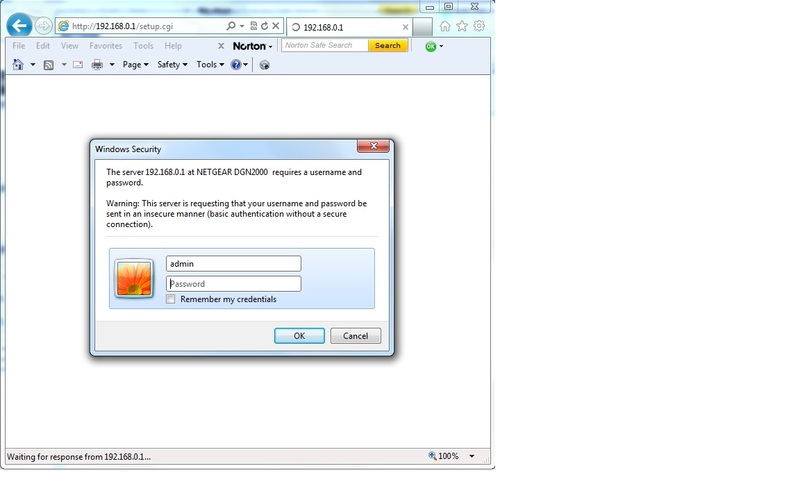 I am trying to use 1Password to remember login details to my NetGear router. Unfortunately, the login is done by a popup dialog box on top of the the browser window and I cannot get 1Password to work other than by using the Auto-Type feature. Ctrl+\ does nothing and because it is a modal dialog box, I cannot access the main browser window to press the 1Password toolbar button without dismissing the dialog box. I've attached a screenshot to help explain what's going on. I am running Windows 7 64 bit and IE9. Other than this slight inconvenience (I can still use auto-type), I think 1Password is a great product. Peter, welcome to the forum! The auto-type feature is designed expressly for situations like this, where something about the page prevents 1Password from applying its standard method for saving and filling a form. You can use auto-type even in many non-HTML scenarios, such as logging in to the AIM client, as shown in the user's guide. Auto-type isn't quite as convenient as pressing Ctrl+\, but it's a lot simpler than cutting and pasting username and password from one program to another. Thanks for the quick reply and confirming auto-type is the solution in this particular case. I just wanted to be sure, being a newbie, that I hadn't missed a trick along the way. I'm gradually going through all the website logins I have stored in an xls file and creating equivalent entries in 1Password. Then I can get rid of the xls file which I always knew was a bit of a security risk. Pass on my thanks to the development team for a great product. I only found out about 1Password from a colleague at work. You guys need to advertise more! It's a great product. That's a great idea to move your login credentials into 1Password, Peter, and securely delete the unencrypted file! If you use Dropbox to sync your 1Password data with other PCs, Macs, and mobile devices, you've automatically got access to your data by way of 1PasswordAnywhere. Thanks so much for your kind words! I'll be sure they get posted to our "virtual common room."